NATO does need to change, and put a more systematic emphasis on forward deterrence—in nuclear, conventional and irregular/hybrid warfare terms. It also can do more to fight terrorism and violent Islamic extremism, and carry out more effective out-of-area actions. The goal, however, should be to increase NATO’s deterrent and mission capabilities, and not simply to shift more of the burden to Europe or meet an arbitrary goal of spending 2 percent of the national GDP. What virtues does the A-10 possess that have made it so useful in recent conflicts? How has CAS been used in recent conflicts? What are the concerns about the future? What CAS alternatives are available to the Army, given the Air Force decision to replace the A-10? Close air support (CAS) is about providing airborne firepower for troops on the ground who may be operating in close proximity to the enemy. This proximity increases the value of such characteristics as accuracy and responsiveness. Flying at lower altitudes not only increases accuracy and speed of weapon delivery, but its show of force also affects morale on both sides. And fixed-wing aircraft, such as the A-10, are more survivable than rotary-wing aircraft under certain conditions. For some time now, the Army has relied heavily on the Air Force to provide fixed-wing CAS. The A-10 has been a mainstay of these efforts, but the Air Force has become concerned both about the cost of maintaining the aircraft and about its survivability in environments increasingly more advanced than those it has encountered in recent years. The service is planning to retire the A-10 and replace it with other aircraft, such as the F-16, in CAS roles. These aircraft may not provide all the same benefits. The Army asked RAND to look at the consequences of this decision, examine alternatives, and offer recommendations. One recommendation the authors make is that, regardless of the outcome of assessments of alternatives' capabilities, a viable replacement should be fielded before the A-10 itself is retired. Things have not been dull since President Donald Trump took office almost three weeks ago, but something that has been little noticed is the increasing traditionalism of some parts of his foreign policy. Certainly, his order to suspend visas for citizens of seven Muslim-majority countries was explosive, but in point of fact, whether people from Yemen can come to the United States is not a central issue in U.S. foreign policy. What is central is the future of U.S. relations with NATO. Before the election, Trump gave clear indications that he was unhappy with NATO’s structure, performance and relevance to American strategic needs. On Feb. 7, Trump declared his commitment to NATO without any mention of alternatives. Similarly, during the election, Trump suggested a massive revision of relations with Russia, arguing that he would welcome warmer ties. His position now is that the sanctions on Russia should remain in place, and he has given no indication that the reconciliation he spoke of during the election is going to happen. He spoke to and expressed his support for the Ukrainian president, something not designed to please the Russians. China was going to be Trump’s first target. Thus far, little has happened but rhetoric, and even that has died down. There have been some recent exchanges over the South and East China seas. But such rhetoric was common during former President Barack Obama’s administration and represents continuity more than a radical shift. This Commentary is the first in a series of essays that will examine the strategic significance of the Black Sea region to the United States and NATO. Russia’s illegal annexation of Crimea in March 2014 refocused global attention on the strategic significance of a region that rests on the fault lines of two former empires—the Russian and Ottoman Empires—with involvement by European powers, such as Great Britain, France, and Germany. This analysis provides an overview of the region with a view that the past is prologue to the region’s future as restive powers reanimate empirical political and military strategies in a modern context. Six years of conflict between Russia and an overstretched Ottoman Empire from 1768 to 1774 led to the signing of the 1774 Treaty of Küçük Kaynarca, which provided Russia direct access to the Black Sea region (via the Kerch and Azov ports). Russia was also granted the right to protect Christian minorities in the Ottoman Empire, and the nominally independent Crimean Khanate was placed under its influence. Nine years after the treaty was signed, popular resentment toward reforms introduced by the Russian co-opted ruling elite, combined with the constant inflow of settlers to the Crimea, fueled regional unrest, giving Catherine II’s envoy, Prince Grigory Potemkin, a long-awaited pretext to annex Crimea through military means with little armed resistance. The Crimean capital of Sevastopol was established the same year, and from 1783 onward, Russia emerged as a growing Black Sea power as the Ottoman Empire slipped onto a slow, declining path. The Road To Ladakh In 1988, there was a historic mission that was being planned up in the cold valleys of Eastern Ladakh. Armed Forces are a hierarchical and pyramidical organisation. A commander’s influence and freedom of action are restricted to his command. Yet opportunities do come by when one can do things less ordinary and leave behind a legacy. 'Seize fleeting opportunities' is a popular dictum in battle. I believe that not only should one seize fleeting opportunities, one must also endeavour to create them, not only in battle but also in life. Carpe diem - seize the day - was my antidote to inaction. In 1988, I seized an opportunity to pioneer the induction and employment of a Combat Group (an all arms grouping based on a mechanised infantry battalion or an armoured regiment with varying number of mechanised companies and armoured squadrons) in Ladakh. Two years before this, on promotion to Lieutenant Colonel, I’d been posted as a General Staff Officer Grade 1 (GSO 1) in Directorate General of Mechanised Forces, Army Headquarters (AHQ). Those were heady days of transformation of the Indian Army under the then-Chief Of the Army Staff General Sundarji's Perspective Plan 2000. As part of the plan and also due to the Sumdorong Chu standoff in 1986, the Indian Army had adopted a 'forward posture' against China, and a Combat Group of one armoured regiment and one mechanised battalion was proposed to be deployed in Ladakh. It was a pathbreaking decision as a mechanised force of this size had never operated in High Altitude Area (HAA). This posed both a tactical and a technical challenge as apart from evolving new tactical concepts the tanks and BMPs had to move by air in the newly-acquired IL 76 aircraft, and had to be maintained at minus 20 to 30 degrees Celsius temperatures in winters. Renowned Pakistani poet, social activist and academic Salman Haider was abducted on January 6 from Islamabad Highway while he was on his way back home. His wife received a text from his own number, telling her to pick the car from a place few hundred meters away from their house. As the news about his abduction emerged in the mainstream media, the families of two other bloggers, Aasim Saeed and Ahmed Waqas Goraya, reported to the police that they had been missing since January 4. Two other activists, Ahmed Raza Naseer and Samar Abbas, also went missing in the following days. All of them are well-known for holding a progressive worldview, often critical of the military’s policies. After weeks of speculation and widespread protests across the country, four of them returned to their families on January 28. Two of them have since left the country after an active media campaign framing them as blasphemers threatened their lives. The other two, although still in Pakistan, have relocated along with their families, uncertain about their future. America’s longest and forgotten war returns. 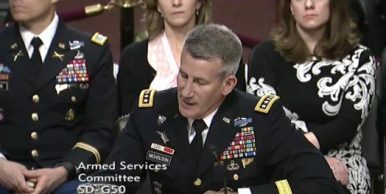 General John Nicholson, the commander of U.S. forces in Afghanistan, described the current U.S. predicament there as a “stalemate” during an eagerly anticipated hearing before the Senate Armed Services Committee on Thursday. The Obama administration has left the Trump administration with a decelerated drawdown schedule, with 8,400 troops remaining in the country (in addition to a similar number of U.S. contractors) as the Taliban makes territorial gains and the Islamic State remains steady. The Taliban movement is in disarray. The new leader, Maulawi Haibatullah Akhundzada, is widely viewed as weak and ineffective. Several factions within the Taliban are vying for power. The Mansour network, which is based in Helmand and claims to be backed by Iran and Russia, has risen to become the most dynamic group within the Taliban. The levels of morale within the Taliban vary. The boost to morale from 2016 battlefield successes was dampened by the high cost at which they were gained, as well as the alienation of many Taliban from their leadership and the sense that many had no stake in those battlefield gains. The expulsion of Afghan refugees from Pakistan is putting added pressure on the Taliban. There is growing disaffection within the Taliban about the armed campaign. Many Taliban feel that the war has lost direction and purpose, and is corrupting the movement. A new approach to peace talks is needed. This would harness and mobilise the large numbers of disaffected Taliban, in order to get around the leadership’s stonewalling. Two days after China again blocked an attempt to ban Jaish-e-Mohamed chief Masood Azhar in the UN, an influential Chinese daily said on Thursday that India, "under the defence of its counter-terrorism crusade", could step up military pressure on Pakistan, which would risk escalating tensions between the two arch-rivals. Defending China's latest veto to have Pakistani terrorist Masood Azhar -- mastermind of the Pathankot airbase terror attack last year -- declared as an international terrorist, the Global Times said that India had its own reasons to push against the militant. "India has its own reasons to have Azhar listed as a terrorist. However, observers are also worried that under the defence of the counter-terrorism crusade, India can increase its military pressure on Pakistan, thus risking escalating tensions between the two countries," it said. The editorial in the newspaper lamented that Indian media accused China of adopting double standard because Beijing had rejected India's proposal to add Azhar to the UN list of international terrorists. It said Beijing did so because India failed to provide concrete evidence against Azhar. On Tuesday, China blocked a US proposal to get Azhar listed as an international terrorist. Last year, Beijing thrice rejected India's proposal for the same, frustrating New Delhi. During the U.S. presidential campaign and since Donald Trump’s election victory, the president-elect and a variety of pro-Trump advisers and supporters have made several highly unconventional and controversial remarks about China, the U.S. position in Asia, and America’s allies. 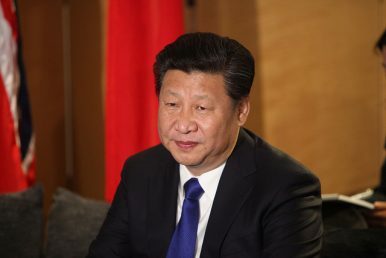 These have ranged from skepticism regarding the value of Washington’s alliances with Japan and South Korea and the One China policy toward Taiwan to supposed commitments to implement trade tariffs against China, compel Beijing to force Pyongyang to give up its nuclear weapons, and build a 350-ship navy with which to deter Chinese “aggression,” especially regarding China’s disputes with other Asian states over maritime sovereignty issues. It is unclear at this point to what extent (if at all) and in what ways the Trump administration will attempt to act on these views. Few of them have been explained in any detail, or with reference to the actual strengths and limitations confronting America in Asia now or in the future. Perhaps most importantly, none of them has included serious discussions of the likely consequences that would result from taking this or that specific action, based on known facts and reliable information. This essay examines and assesses the logic and feasibility of the most important views of the Trump camp and its likely supporters with regard to the three most critical Asian security issues confronting the new U.S. administration: North Korea, Taiwan, and Asian maritime disputes and related U.S. military activities in the Western Pacific. It begins with a short baseline explanation of America’s overall core security interests in Asia, a description of the nature of the challenge posed by the three issue areas, and the requirements for developing an effective policy in each area. This is followed by a more detailed assessment of both known and probable views of Trump advisers and associates toward each issue, based in part on the preceding requirements, followed by an indication of what might constitute more effective policies for protecting U.S. interests. It concludes with a brief assessment of the implications of the conclusions reached. The outlier president of the United States evokes outlier responses. His calls for isolationism and protectionism have led a large number of foreign policy mavens and media talking heads to look for a new source of world order. They have been quick to nominate China as willing and able to become the new world leader and source of world order. A Sea-Based Pershing II missile can blunt China's A2/AD threat and help restore regional strategic balance. Speed kills. This simple but powerful concept applies in spades to strike assets—particularly when speed and lethality can be obtained at sufficiently low costs to be deployed at scale. Consider, for instance, China’s intensive investment in ballistic missiles as part of its ongoing anti-access/area denial (A2/AD) strategy aimed at restricting U.S. forces’ capacity to operate and project power along the country’s maritime periphery during a potential conflict. The current crop of U.S. precision-strike platforms, especially those with the standoff range to cope with an increasingly deadly People’s Liberation Army integrated air-defense system, tend to be expensive or launched by scarce and expensive aircraft and fly slowly. To blunt China’s growing asymmetric advantage and retain strategic credibility with regional allies, U.S. forces need a prompt regional strike capability that is reliable, cost-effective and legal. Modernizing and improving the MGM-31 Pershing II medium-range ballistic missile design and deploying it at sea would fulfill all three requirements. First, the Pershing system uses a fully developed, 1980s-vintage airframe that could be resurrected, mated with modern guidance and warhead systems, and pressed into service much more rapidly and cost-effectively than new hypersonic weapons systems built from scratch. The core challenge in producing Pershing II missiles, or a modernized follow-on version, centers on retooling and training the workers responsible for the manufacturing process, rather than developing entirely new systems and technologies from the ground up, which is what the Pentagon’s Prompt Global Strike program is doing with the Advanced Hypersonic Weapon. The fact that a Pershing II derivative can likely be brought into service more quickly than other hypersonic strike systems would allow it to play an important “gap filler” role as the Pentagon builds out a full hypersonic weapons portfolio. In recent years the People’s Republic of China has laid claim to ninety percent of the South China Sea, buttressing this claim by creating artificial islands with dredging equipment. These claims run roughshod over Beijing’s neighbors, which have competing claims. The discovery in 2016 that China had militarized these artificial islands was not exactly surprising, but just how useful are these islands in defense of China’s strategic goals? China’s campaign to militarize the South China Sea began in 2009, when it submitted a new map to the United Nations showing the now-infamous “Nine-Dash Line”—a series of boundary dashes over the South China Sea that it claimed demarcated Chinese territory. Since then, China has expanded at least seven reefs and islets in the sea with sand dredged from the ocean floor, including Subi Reef, Mischief Reef, Johnson Reef, Hughes Reef, Gaven Reef, Fiery Cross Reef and Cuarteron Reef. According to the Asia Maritime Transparency Initiative, Beijing has created more 3,200 acres of new land. China initially claimed its “territory” was being developed for peaceful purposes, from aid to mariners to scientific research, yet many of the islands now feature military-length airfields, antiaircraft and antimissile guns, and naval guns. Cuarteron Reef now has a new High Frequency early-warning radar facility for detecting incoming aircraft, a development difficult to square with a peaceful mission. Farther north, but still in disputed territory, China has installed HQ-9 long-range surface-to-air missiles on Woody Island. John Markoff and Matthew Rosenberg had an article on the February 3, 2017 website of the New York Times, with the title above. Their article is about China’s aggressive push, and acceleration in their research with respect to Artificial Intelligence (AI); and, something I have written about frequently in the past. It is a disruptive area, full of surprises — both good and bad — and a race perhaps as critical as was the Manhattan Project and the race against Nazi Germany to develop the atomic bomb. In recognition of just how important the United States believes AI may be in future warfare, POTUS Obama’s Deputy Secretary of Defense, Robert Work has been spear-heading the Department of Defense (DoD)’s effort to maximize AI’s potential military benefits. But, much as the U.S.’s pursuit of an atomic bomb was not without peer competitors — the race to be the leader in the militarization of AI is not without competitors; and, it is not a given that the U.S. will win. The US-led coalition targeted Rachid Kassim, an aspiring rapper turned Islamic State operative, near Mosul, Iraq earlier this week. Kassim, who is pictured above, has been involved in several terror plots in the West. The airstrike was announced yesterday by Pentagon spokesman Major Adrian J.T. Rankine-Galloway. “We are currently assessing the results of that strike and will provide more information when it becomes available,” Major Rankine-Galloway told the press. Some French media reports are already claiming that Kassim was killed, according to Agence France-Presse (AFP). But American officials remain uncertain. In June 2016, Amaq News Agency, one of the Islamic State’s chief propaganda arms, promoted a video from an Islamic State loyalist named Larossi Abballa. The video was recorded at the scene of a brutal double murder in Magnanville, France, which is less than 40 miles north of Paris. Abballa stabbed a police officer and his partner to death, recounting the horror show for the Islamic State’s audience and the rest of the world. Abballa was a member of Kassim’s Telegram group, according to AFP. Authorities concluded that Kassim had encouraged Abballa. Today, as after Saddam’s fall, the Gulf Cooperation Council (GCC) states are largely reactive players in the battle for Iraq’s future. Even as GCC states have grown more assertive in other parts of the Middle East and North Africa, conditions in Iraq—especially as concern Iran’s role there—have left Gulf leaders wary. Despite the GCC’s strong interests in Iraq, rulers have judged that the current environment offers high risk and little chance of reward, and have diverted resources accordingly. This report analyzes Gulf states' policies towards Iraq before and after Iraq's 2014 leadership transition. Riyadh in particular has retreated from efforts to wield practical influence in Iraq. Hopes briefly raised by the ouster of Nouri al-Maliki gave way to reinforced mutual suspicion. Other Gulf states have pursued divergent approaches to Iraq based on their varying perceptions of opportunities and threats, but Kuwait alone has pursued a strategic state-to-state relationship with Iraq. Download PDF file of "Iraq: The View from the GCC"
Is Britain girding for a fight in Russia’s backyard? For the first time since the Cold War, Britain is sending a warship to the Black Sea on a military mission. This time, the goal is to send a message to Russia: don’t invade Ukraine. The question is whether Russia will—or even should—bother to take the warning seriously. Last time Britain invaded the Crimea was in 1854, when an Anglo-French expeditionary force of several hundred ships and six hundred thousand men captured Sevastopol. This time, it’s just the single Type 45 destroyer HMS Diamond, which will carry sixty Special Boat Service and Royal Marine commandos, according to the Daily Mail. “HMS Diamond will lead a NATO task force and help protect 650 British troops who are involved in secret exercises in Ukraine—a country invaded by Russian-backed rebels in 2014,” the newspaper reported. Type 45 Destroyers—among Britain’s newest and most advanced warships—are armed with Sea Viper antiaircraft missiles, Harpoon antiship missiles and Phalanx point defense cannon. The Diamond, launched in 2007, will also carry Lynx helicopters to transport the commandos. However, the Type 45 has also suffered from engines that break down when the destroyers sail into warm waters such as the Persian Gulf. Fortunately for the Royal Navy, the Black Sea is not in the tropics. Russia’s hacks of the Democratic National Committee and its election meddling were alarming, but not an act of war, said a leading scholar of international law in cyber operations. “I’m no friend of the Russians,” said Michael Schmitt, chairman of the U.S. Naval War College’s International Law Department and director of a project that analyzes how international law applies to cyber operations — especially in peacetime. Schmitt spoke in an interview with The Washington Post coinciding with the release of the Tallinn Manual 2.0, an updated reference for lawyers around the world on how international law applies to cyberspace. Schmitt, who is also a law professor at the University of Exeter in Britain, led the legal team that compiled the manual. Sen. John McCain (R-Ariz.), the chairman of the Armed Services Committee, has said he believes Russia’s interference in the 2016 presidential election amounted to an act of war. FEBRUARY 8, 2017 —Despite concerns over Russian interference in the election, President Trump is still looking to repair relations with Russian President Putin. It would be an "asset," he said, even as national security experts from both parties push for further investigation into Russia's meddling with the presidential campaign. And even as the president and his allies appear to be forging ahead with this new Russia reset, it's important to keep in mind that the US has gone down this path before. Remember when former President George W. Bush looked Putin in the eye in 2001 and “was able to get a sense of his soul”? A reset didn’t work that time, nor when President Obama sought to redirect the “dangerous drift” of US-Russian bilateral relations with former Russian President Dmitry Medvedev. Despite these failed attempts, on the surface, improved relations between the two countries with the world’s largest nuclear stockpiles seems like a good idea. Unfortunately, this is an extremely myopic view that dramatically underestimates Mr. Putin and Russia. In fact, by considering Russia’s digital and military activities over (at least) the last decade, a pattern quickly emerges of a revisionist nation determined to disrupt the global order and weaken democracy. The most recent Russian campaign to influence American elections is no anomaly. By 2015, the annual Worldwide Threat Assessment of the US Intelligence Community had ranked Russia as the No. 1 cyberthreat to US national security, largely for their ability to compromise critical infrastructure and three known intrusions in industrial control system vendors. But this was by no means the start of Russian digital activity. Former Greek Finance Minister Yanis Varoufakis on the EU's disintegration, and we discuss the future of cyberwarfare. In this week's UpFront, we speak to former Greek Finance Minister Yanis Varoufakis on Greece and the future of the European Union. In the Reality Check, Mehdi Hasan reveals how Brexit leaders misled Leave voters by not being clear on exiting the European single market as well. And in the Arena, we discuss the perils of cyberspace and if future wars will be fought online. With the UK on the cusp of leaving the European Union and Greece increasingly facing the same fate, is it over for the beleaguered body? An "epidemic" washing over other European countries may see the end of the EU, warns Yanis Varoufakis, Greece's former finance minister. "The right question is: Is there going to be a eurozone and the European Union in one or two years' time?" asks Varoufakis, who served as finance minister for five months under the Syriza government. Italy is already on the way out, Varoufakis tells UpFront. There is a vital need to replace the ground-based nuclear deterrent. Lost in the news over the past week was the requirement in the January 27, 2017, presidential memorandum on rebuilding the U.S. Armed Forces for the secretary of defense to initiate a Nuclear Posture Review (NPR). The memorandum called for this review in order to ensure that the United States nuclear deterrent is modern, robust, flexible, resilient, ready, and appropriately tailored to deter twenty-first-century threats and reassure our allies. This requirement was expected, and the Air Force and Navy staffs were already working to complete this tasking, but the outcome of the review and what will be released to the public will be important for many years to come. The excessive age of all three legs of the U.S. nuclear triad is well documented and the modernization efforts by the United States are lagging behind its major competitors, China and Russia. The cost of the modernization is not trivial. Most estimates place the cost to modernize the triad at $1 trillion over the next thirty years. Additionally, the decisions about what type of force will be built must be made by this administration, and these platforms will make up the triad until 2070. Therefore, this NPR is vital and must not be taken lightly by the public and decisionmakers. The United States faces a very different set of security challenges than it has since the Cold War. Great power competitors such as China and Russia improved their military capabilities over the last two decades while America focused on Middle East insurgencies, and now appear willing to challenge the international order. They are likely to replace transnational terrorism in the near future as the primary concern of U.S. military planners. Gaining an advantage in great power competitions, deterring aggression, and reassuring allies will require changes to the ships, aircraft, weapons, sensors, basing, and readiness processes of U.S. naval forces, which essentially operated unopposed since the Berlin Wall fell. CSBA’s Restoring American Seapower: A New Fleet Architecture for the United States Navy explores those implications and proposes a new fleet construct for the U.S. Navy to pursue over the next two decades. The Navy will need to take a new approach to deterring great power competitors than it did against regional powers such as Iraq. This new approach will also require innovative operating concepts, adaptive force packages, and a more distributed and robust naval posture that emphasizes effectiveness over efficiency. Together, new ways of operating, new deployment approaches, and new force packages require a larger and more diverse fleet of ships, aircraft, and unmanned systems. If the U.S. Navy does not pursue such a new architecture, by the 2030s the United States may not be able to effectively compete with great powers such as China and Russia or even regional powers such as Iran. This will undermine its alliance relationships, its economic health, and ultimately its place as an exceptional country. Humans aren’t fast enough to respond to network attacks and breaches. Machines can help us, if we help them. Over the past few months, I was fortunate enough to be asked to evaluate several cutting-edge technologies designed to make government networks more secure. Some of these were more advanced than others, and a few were hindered by newer technologies like cloud computing. But they all showed a great deal of promise for the federal government if deployed correctly. One of the most interesting possibilities is creating an event-driven architecture to add automation to the federal defensive arsenal. Given a single router can generate over 100,000 data points every few seconds, any network of any size quickly grows beyond the ability for even teams of humans to protect 100 percent effectively. There is just too much data and not enough analysts. Attackers know this, and use all that data as cover to remain undetected once they breach a network. That is why the latest Mandiant M-Trends 2016 Report found most organizations were breached for 146 days before the successful attack was discovered. The government is no exception to this rule. Automation could be the answer, reducing the time from detection to remediation from months to seconds. The basic concept is simple enough. It uses the power of the network itself to counter threats, making it a machine versus machine affair. That’s not unlike the classic “WarGames” movie, where a young Matthew Broderick gets the WOPR computer to play itself in a game to teach it futility. The concept of automation in cybersecurity can be broken down into three basic levels. At the first and most-basic level is human-driven automation. A human operator needs to do something, like check a series of network devices for compliance issues, so they activate a script to do the heavy lifting. This can cut down on operator workload and help with odorous chores like patch management, but doesn’t improve breach response times. Combat brigades will soon head into firefights with cyber specialists…and possibly IT lawyers. The next great conflict will play out not just on physical terrain but also in the electrical pulses of cyberspace and the electronic spectrum. But while anonymous enemies like ISIS or Russia’s “little green men” are free to use the digital space as they like, U.S. Army leaders say legal requirements and a pre-digital rules structure complicate their response. That’s why, for the last 18 months, the service has been experimenting with different concepts of operations for the cyber units that will be on the front lines of tomorrow’s fights. The Army, which already has 30 cyber teams at full operational capability and 11 more at initial operating capability, is aiming to have 41 fully operational teams by year’s end. Cyber authorities, which have been a much belabored process, are beginning to transition more from the highest levels of government – which initially viewed them as a strategic asset – to the operational level. Originally, the thinking on cyber operations was everything had to be controlled by the president because operations in cyberspace were all thought to shut down the internet, Brig. Gen. J.P. McGee, deputy commanding general for operations at Army Cyber Command told reporters Feb. 8 during a media roundtable. As Cyber Command is currently engaged in cyberwarfare against the Islamic State group, Brig. Gen. Patricia Frost, director of Army Cyber Directorate at the Pentagon, told reporters authorities in this effort have changed over time as the president – both Obama and Trump in a continuation of the previous policy – has delegated authority for the counter-ISIS operations down. When looking at how Cyber Command is executing operations today, deconfliction from the team presenting a concept of operation for an effect comes from any of the joint force headquarters goes up to Cyber Command, Frost said, adding that this has been a learning process and refined over the last decade-plus.